WAB BAH DAH DOOO! Don't worry kids, John Cena is back to save the day! But what would it be for the former United States Champion? Would he be taking that title straight back from current incumbent Rusev? Or could he be in-line for a Money In The Bank ladder match spot? One spot remains after Alberto Del Rio's victory over Zack Ryder last week on SmackDown. RAW would surely fill us in, unless he was there just to cut the most patriotic promo you've seen since forever with it being Memorial Day. As well as the excitement surrounding Cena's return, we had this #hatch business to deal with. WWE have been releasing a series of cryptic tweets over the past couple of weeks showing a remote hatch being opened. 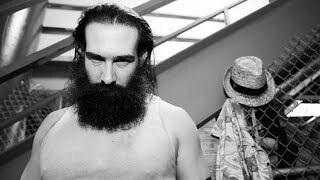 Could this have been setting up a Bray Wyatt return? Or something to do with WWE 2K17 which conspicuously went up on Shop.WWE.com on Monday in the build up to the show? Click “next” to read the full article or watch our video series detailing the best bits!